Essentially, a simple local app will normally be very similar to a website – with multiple pages and media. At the same time though, your app will utilize a design that makes it a lot more intuitive to use on a smaller touchscreen, while users will be able to launch it straight from their home screens with a single tap. Simply having an app will make your business appear more forward thinking but our highly professional design ensures that they really impress. 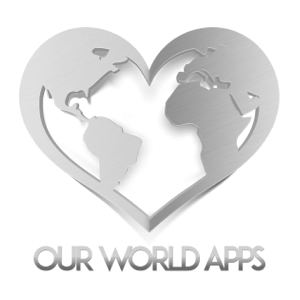 At Our World Apps, a Subsidiary of Our World Enterprises LLC we take our local apps one step further though and incorporate a range of additional features at your discretion. We can use push notifications for instance so that you can alert your users to offers and news right in their pockets! Perhaps best of all, we can add features that allow your customers to book appointments and tables, buy products and order take outs straight from the apps. By removing the ‘barrier to sale’, you will greatly increase turnover and profits. Android apps are apps that run on the Android operating system. This is the operating system found on a wide variety of non-Apple phones these days, including phones from the likes of Samsung, HTC, Amazon and Sony. Many tablet devices also use Android and as an open-source system, it is also available on some computers and even smartwatches. It is the most widely used mobile operating system of all. Unfortunately, that means you essentially need two separate apps. Thankfully though, Our World Apps has access to tools that makes this very simple. We can build apps and then immediately convert them for both iOS and Android and likewise we can add updates across all versions. Don’t miss out on marketing opportunities by only targeting one mobile operating system. Let us take care of your app development and get your app into the pockets of all your potential customers!